The space marine is an archetype of science fiction. The quintessential space marine is tough, stoic, an alpha male (or female), off-world (sometimes on world), and always armed to the teeth. The earliest use of the actual term "space marine" appeared in 'Captain Brink of the Space Marines,' a 1932 'Amazing Stories' comic, which was a science fiction anthology. Steven Spielberg used this same material for his 1980s television series of the same name (available on Netflix). An even earlier version of the archetype was John Carter of Mars, the protagonist in the Edward Rice Burroughs series. 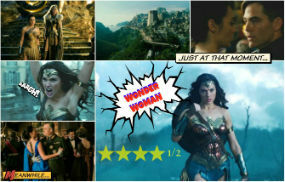 Yes, the same 'John Carter' that bombed the box office a few years ago. Carter was a former soldier before finding himself on Mars. The John Carter series was also Avatar's predecessor. If you've read any of the 'Barsoom Stories,' you notice the similarities between James Cameron's 'Avatar' and John Carter. 'Avatar' of course was full of space marines. Whether the archetype begin in 1912 or 1932, it stuck and has been a staple of science fiction ever since. So Huzzah to Space Marines! 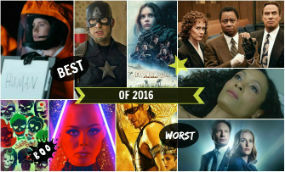 Here are my favorites, some of whom may come from the same film and television series. Please note that I did not necessarily like all of the films on this list, but I liked that particular space marine. 10. 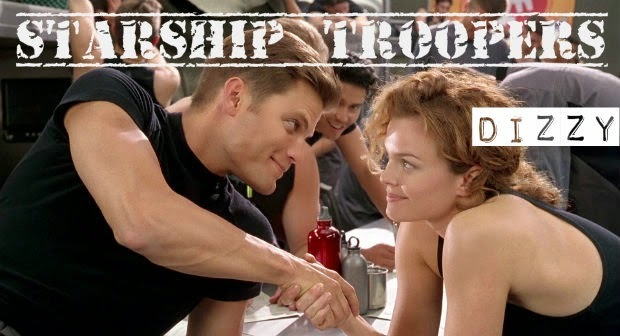 Dizzy (Dina Meyer), Starship Troopers (1997) - Based on the 1959 novel of the same name, 'Starship Troopers' is more of a guilty pleasure than a good movie. In the future an insectoid race has launched asteroid attacks on earth. The troopers invade the bug world to put a stop to it. It could have been a serious film, but perhaps it wasn't meant to be. 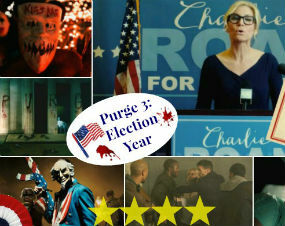 The film is all camp, gore...and fun. It's a signature of a Paul Verhoeven film ('RoboCop,' 'Total Recall'). Like wine, 'Starship Troopers' improves with age. The more I watch it, the more I enjoy it. It's like 'Shawshank Redemption.' Hands down my favorite character is Dizzy. I liked Dizzy more than the lead character, Johnny Rico (Casper Van Dien), or the beautiful, yet boring Carmen Ibanez (Denise Richards). Dizzy was the jock girl who liked to hang out with the guys. 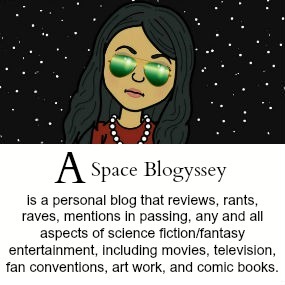 Writing for a science fiction blog, I can relate. Although Dizzy's fruitless obsession with Johnny Rico did her no favors, Dizzy was still tough and smart. Lest we forget, she went down fighting. If the writers had any sense they would have ditched the Dizzy/Johnny/Carmen love triangle and just went with Dizzy. In the end, Johnny's infatuation with Carmen (and his cold shoulder to Dizzy) just made him look stupid. 9. 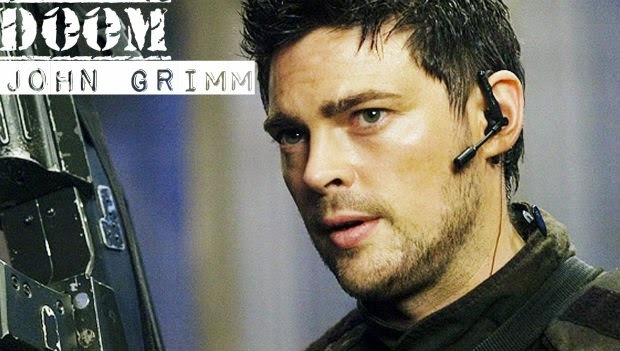 John Grimm (Karl Urban), Doom - Let me preface this by saying that I hated this movie. 'Doom' is perhaps one of the worst video game movies ever made. It was terrible and it even had a first person shooter scene right out of the video game that was beyond awful. But anytime I get to see Karl Urban muscled up, dressed in gear, with weapons is good. So there you have it. You just can't go wrong with Karl Urban as a space marine. Yes, I'm a fangirl. 8. 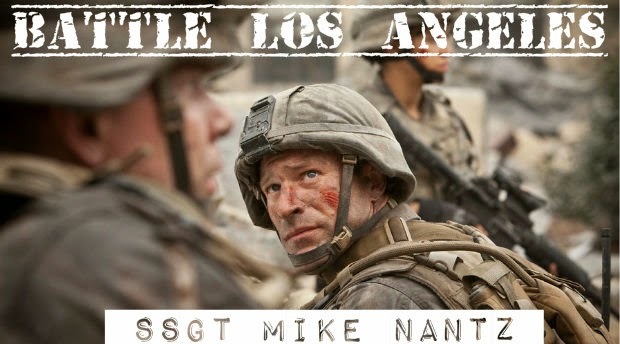 Ssgt Mike Nantz (Aaron Eckart), 'Battle Los Angeles' - I thought this film was ok. I reviewed it a few years ago. You can see my review here. 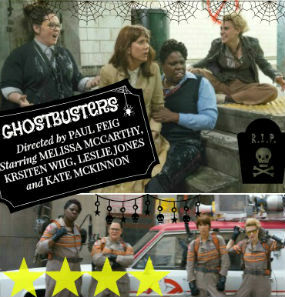 It's another film I would put in the guilty pleasure category. It's just an action movie. There is basically no plot. Aliens invade for unknown reasons and a lone squad of marines is our last line of global defense. What I liked about the movie was Aaron Eckhart. If Eckhart stuck to these aging battle-hardened military man roles, he could increase his fanbase. His 'Frankenstein' movie this year was a disaster. 7. 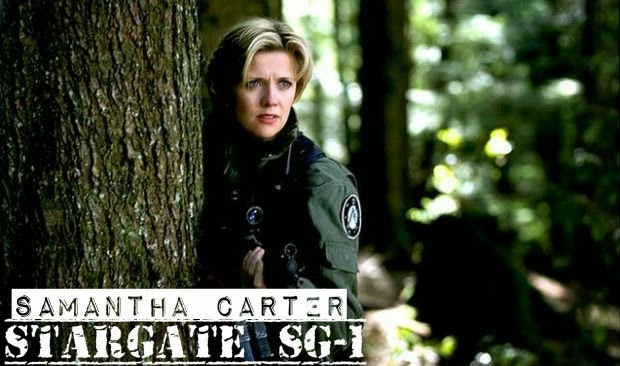 Samantha Carter (Amanda Tapping), 'Stargate SG-1' - What can be said about the lovely Amanda Tapping. She's played an immortal in 'Sanctuary,' an angel in 'Supernatural,' but my favorite Tapping role was in 'Stargate SG-1.' The 'Stargate' universe is way too difficult to explain. You can read about SG-1 here. Tapping is a great actress and she made one heck of a "space marine" in the original 'Stargate SG-1' and later in 'Stargate Atlantis.' I say "space marine" in quotes, because technically Carter was an Air Force Captain (later Lt. Colonel) and an astrophysicist, but you get the gist. Carter was tough, yet always kind and considerate. She had a curiosity about things around her and a longtime crush on Col. Jack O'Neil (Richard Dean Anderson). Carter will always be a SciFi fan favorite. 6. (Entire Cast) 'Space Above and Beyond' was a short-lived underrated space drama from the 1990s. The re-imagined 'Battlestar Galactica' owes its shirt to this show. This show is the true predecessor to 'Battlestar Galactica.' Ron Moore clearly took notes. Unfortunately, the Fox Network didn't. The show was created by 'X-Files' alums Glen Morgan and James Wong, but only lasted one season. 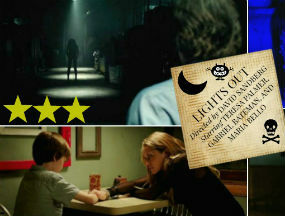 Despite being cancelled too soon, its become a cult classic. 5. 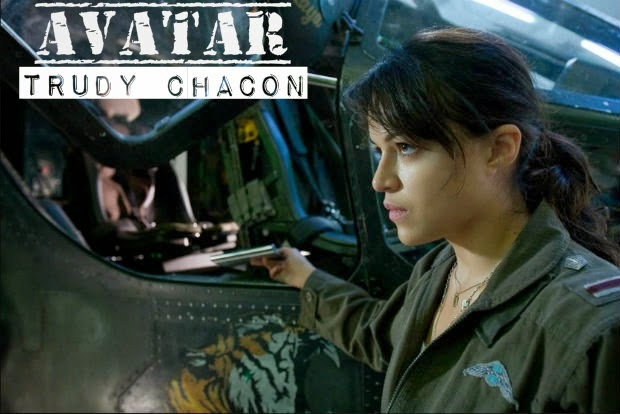 Trudy Chacon (Michelle Rodriguez), 'Avatar' - Michelle Rodriguez is the ultimate tough girl femme. Rodriguez's debut role as a female boxer in 'Girlfight' probably set the tone for her career. Rodriguez may be best known for her role in the 'Fast and Furious' franchise, but she's no stranger to the SciFi community. Rodriguez has played so many soldier-type roles ('Resident Evil,' 'Battle Los Angeles,' and 'Swat') that she's almost been typecast. I'm convinced that when a casting director looks for a beautiful tough girl who can hold a gun they automatically cast "Michelle Rodriguez." Thankfully, she always delivers. 4. Battlestar Galactica (2004), Starbuck (Katee Sackhoff) - Starbuck was a loudmouth, an occasional screwup, and a show off. So what's there to like about Starbuck? A lot. Starbuck may have been a showoff, but she could back it up. 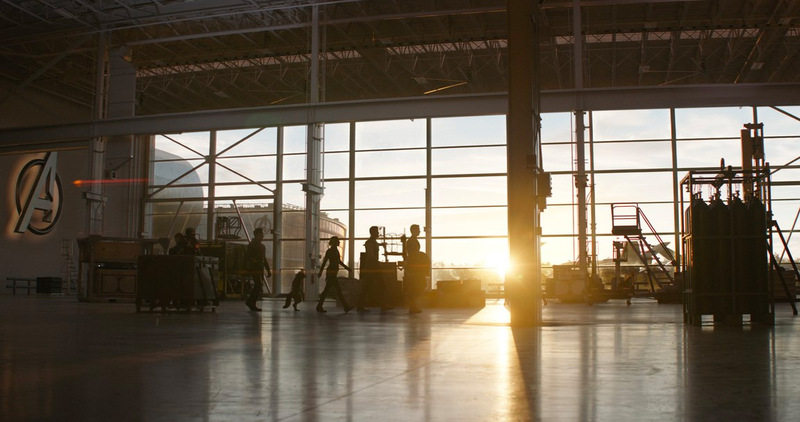 Starbuck was gutsy, reckless, an ace pilot, smart, loyal, and destined for great things. Katee Sachoff's portrayal of Starbuck was raw and emotional. I never doubted her for a second. She wasn't just a tough as nails space marine (or space pilot), even though she was in fact tough as nails. What made Sackhoff's Starbuck so special was that her character was so multi-dimensional. Starbuck was a dichotomy of opposites, she was religious and a believer in destiny, despite being a victim of child abuse. She was tough, yet vulnerable. She was a substance abuser, yet a perpetual overachiever. She hated Leoben, yet she relied on him. She loved Apollo, yet married Sam. Starbuck was a walking contradiction and aren't we all? After the success of the reimagined series, most people can't imagine another Starbuck other than Sackoff (or Dirk Benedict from the original series), but there was a time when this wasn't always so. Dirk Benedict's Starbuck was it. There was no room for Sackhoff in that equation. 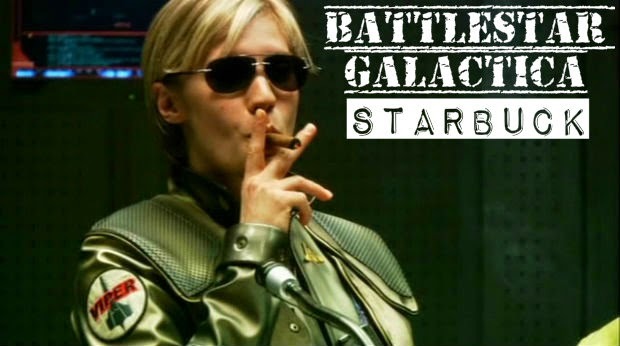 Before the reimainged 'Battlestar Galactica' became iconic onto itself, it was booed at the 2003 Galticon Convention and Sackhoff herself was booed at the 2004 Comic Con. There were a lot of die-hard fans who were not happy about all of the changes, especially about Starbuck becoming a woman. Sackhoff said she even received death threats. Both Starbucks were exceptional fighters, gamblers, cigar smoking brawlers, lotharios, and Apollo's best friend, but for some reason making the character female upset people. Most people wouldn't question Starbuck's qualities in a male character, but in a woman these characteristics take on a whole different meaning. Ron Moore said "what if Starbuck was a woman, if she sleeps around, chomps a cigar, and gambles, is always getting into trouble, but is still the best pilot in the fleet? It's something I hadn't seen before." Hudson - For some reason some people find Hudson (Bill Paxton) from 'Aliens' to be irritating. I personally found him to be hilarious and iconic. Every line Paxton delivered in this movie is quotable. The lines themselves weren't necessarily all that creative, but Paxton's delivery was spot on perfect. Hudson was slightly cowardly, but he more than made up for it with his smart mouth. Hudson did not have what I call "3:00 in the morning courage." Meaning he wasn't someone who could wake up at 3:00 in the morning and be ready to face a crisis. Despite being slightly shaky about meeting a hostile alien species for the first time, Hudson could still be depended on when it counted. Lest we forget, Hudson did go out in a blaze of glory. Despite the missteps in 'True Lies,' I have to give Cameron credit where credit is due. Vasquez was the first female space marine I ever saw onscreen. I'm sure that some enterprising movie buff can come up with an earlier example, but Vasquez is the first female space marine that made an impression on me and she's influenced countless female roles after her. Besides female body builders, I had never seen a woman with muscles like that onscreen before. Not only did she have muscles, but she was just as tough as the guys were. She carried the biggest gun, she was braver than Hudson (which wasn't hard), and she valiantly sacrificed her life so that others could survive. 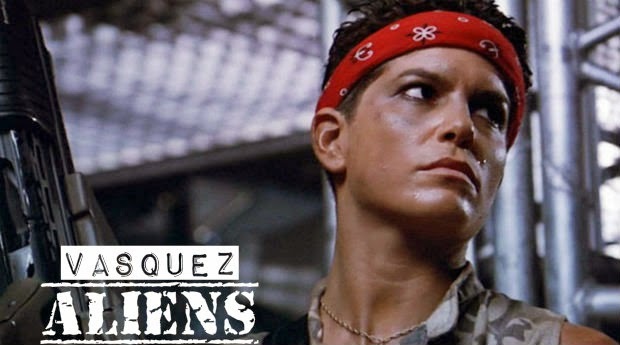 Jenette Goldstein's portrayal as Vasquez was so good that I didn't realize that she wasn't actually a Hispanic woman. Goldstein has primarily been a character actress throughout her career. She has appeared in two other Cameron films, 'Terminator 2: Judgment Day' and 'Titanic.' But she is such an incredible chameleon that you may not even recall what roles she's played. 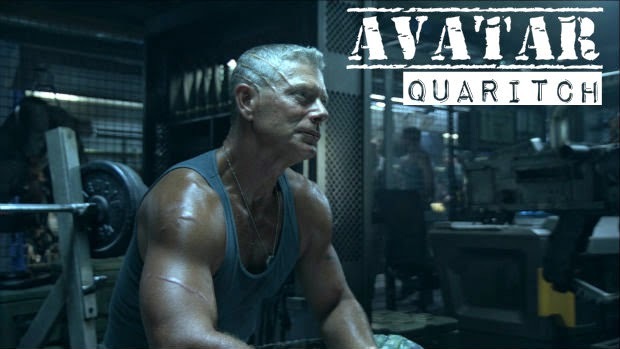 I know that Quaritch was technically the villain of this story, but he was by far the most interesting character in the movie. Cameron deserves some credit for writing Quaritch as a three-dimensional villain with some good qualities and a lot of bad ones. But Lang deserves most of the credit for bringing him to life. The best villains are always complicated. 1. 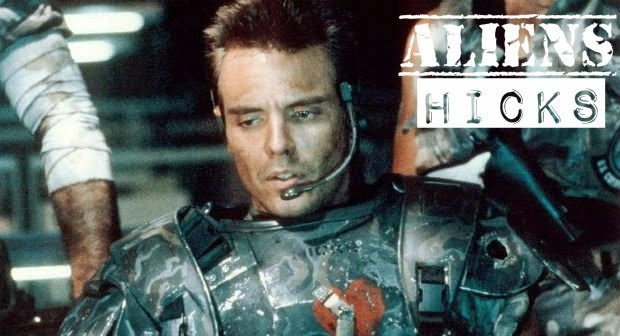 Hicks (Michael Biehn), 'Aliens' - Admittedly, the space marine genre owes quite a bit to James Cameron. Seriously, like five out of 10 of the space marines on this list are from Cameron films, including my favorite space marine of all time: Corporal Hicks of 'Aliens.' Hicks (Michael Biehn) was an ideal marine. He knew how to take orders, but he also knew how to give them. He was smart, level-headed, strong, and moral. When everyone else around him fell apart at the seams, Hicks calmly and cooly picked up the pace. At some point, even Ripley fell apart, but not Hicks. It didn't hurt that Hicks came in the form of a young Michael Biehn. I remember Corporal Hicks being one of my first crushes. Yes he was tough and battle hardened, but Hicks was also kind and thoughtful. He held his own with Ripley without being aggressive or dismissive. He was also very protective of those in his care. Hicks was good looking, good natured, and a trained killer. Corporal Hicks is literally the perfect man. Like all the nods to Aliens. (Game over, man! Game over!) Although Samantha Carter would be my favorite. I wasn't sure when they announced Starbuck would be a woman either. But she pulled it off. Never thought she was hot though. Boomer/Athena - now she was hot! Didn't mind that change one bit. I love all of those Bill Paxton one-liners. Paxton's delivery was hilarious. I don't think that Katee is traditionally pretty, but supposedly she was very much of a girly girl when she first auditioned. So much so that they didn't want her for the role. It's hard to picture, which means she must be one heck of an actress. Hicks... hell yes! great list. Thanks Jeremy! Yes, Hicks was/still is my favorite. This is a great list. So good I'm having a hard time choosing but I'd go with Vasquez. "Anyone ever mistake you for a man?" I agree w/ you on Avatar. I didn't really like that movie. Ha, I just read your post about 'Aliens' :) But we are agreed Biehn was gorgeous in that movie!!! I always loved Bill Paxton as Hudson. He was what he was and that mouth made him better. I loved the knife bit with Bishop. Oh David, that part was so awesome! I love that scene.